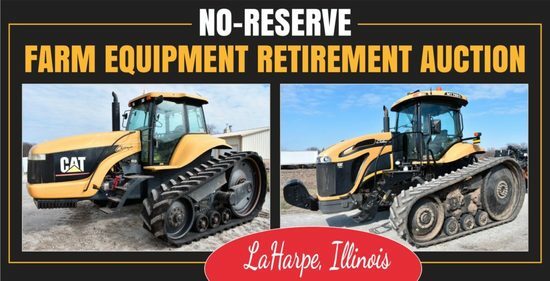 Selling tractors, combine & heads, sprayer, planters, grain handling equipment, truck & trailers, convertible & powersports, lawn mowers, farm equipment, tools, and farm support items. Driving Directions: From La Harpe, IL take Hwy. 9 & 94 west 4 miles to the farm. La Harpe, IL is located approx. 20 miles northwest of Macomb, IL or approx. 25 miles southeast of Burlington, IA. You've been outbid to 7****h! to YOU! Richiger R1050 grain bagger, 540 PTO - Parts and brackets for swing away auger and winch will be removed.